Ideal for: Being the pinnacle of contemporary luxury. 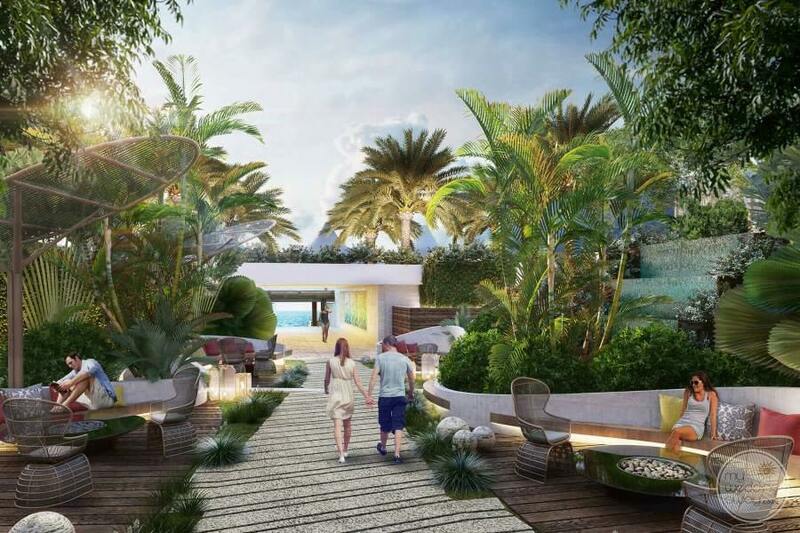 Following a $100 million renovation, Hodges Bay Resort & Spa has re-opened in 2018 to rave reviews. Situated on Antigua’s renowned north shore, this fabulous resort enjoys a prime oceanfront location with striking views of the Caribbean. 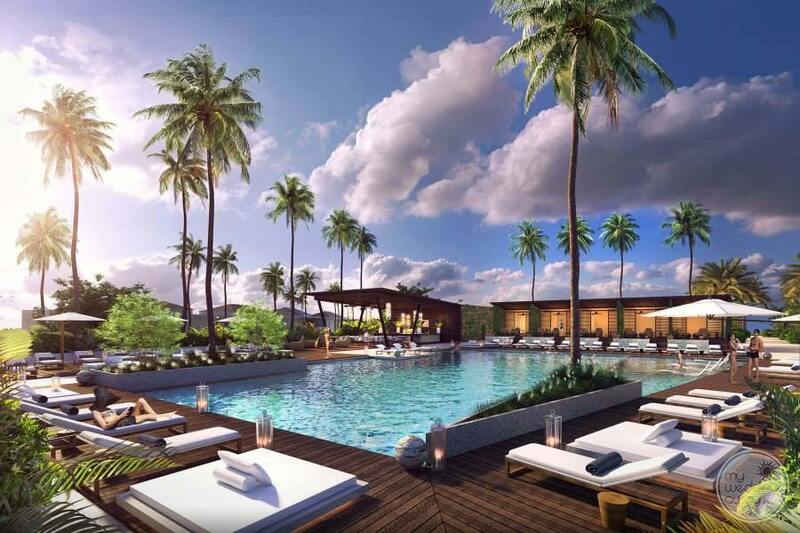 Complete with its contemporary design, luxurious interiors, innovative dining and an array of activities. This resort caters to groups of all ages. The Adults-only areas allow couples to relax and unwind Antigua style! Hodges Bay Resort & Spa offers guests a new, state-of-the-art fitness centre. Yoga, Pilates and Spin classes are also held regularly. 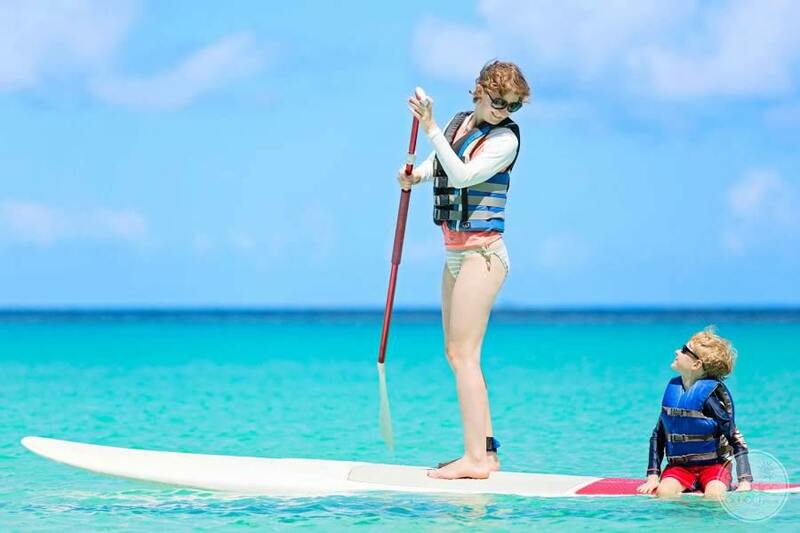 Water sports, such as glass bottom kayaks and Hobie cat sailing conducted at the aqua school where complimentary lessons are available. 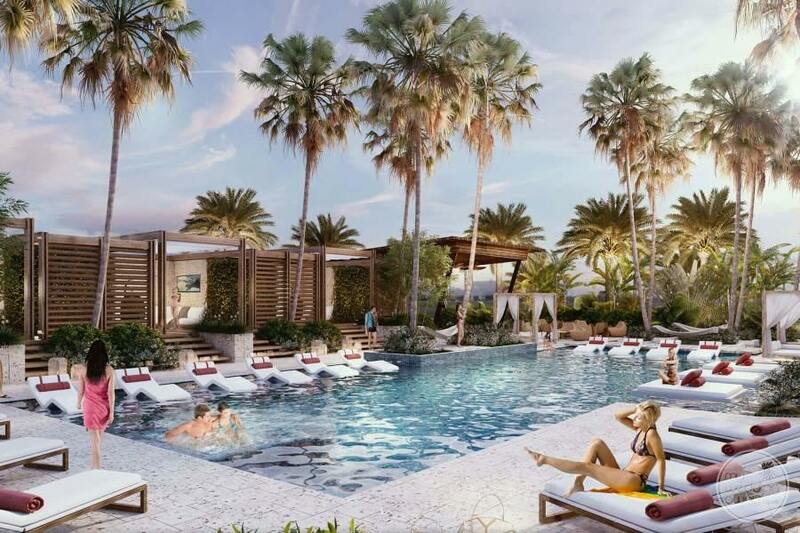 If that all sounds rather exhausting, relax at the poolside instead. Fun and laughter entice families to the main pool. Romantic couples will love the tranquillity of the adults only pool with infinity edge. 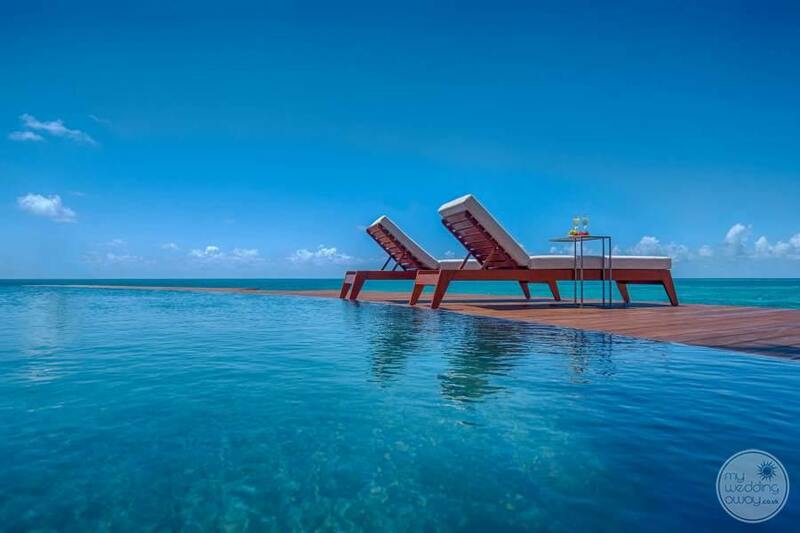 If you can tear yourself from your lounger, head to the spa. Featuring a comprehensive schedule of pampering massages and indulgent treatments. 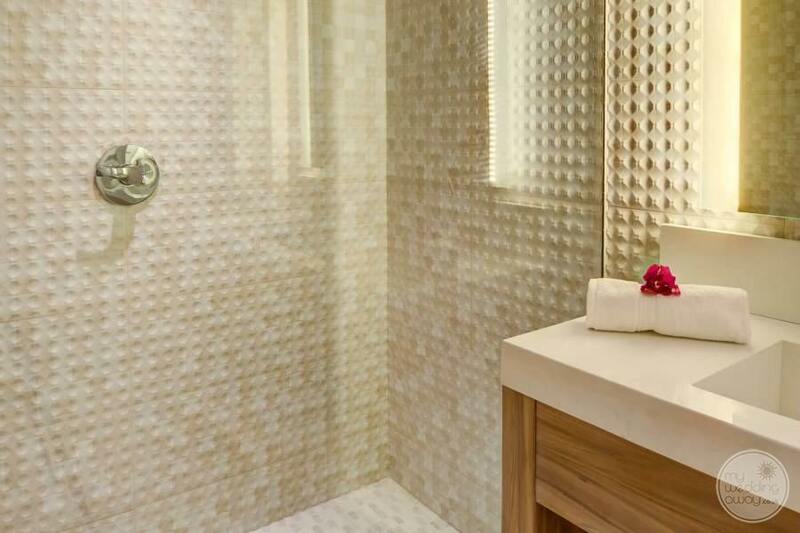 The Spa has four treatment rooms and tranquil indoor and outdoor spaces. 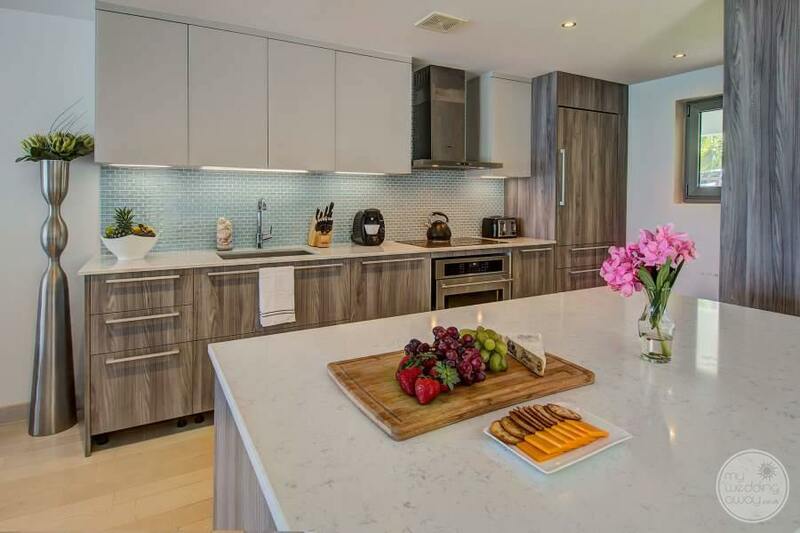 Here at Hodges Bay, you’ll find three restaurants, a coffee shop, juice bar and a poolside grill that offers informal dining by day. 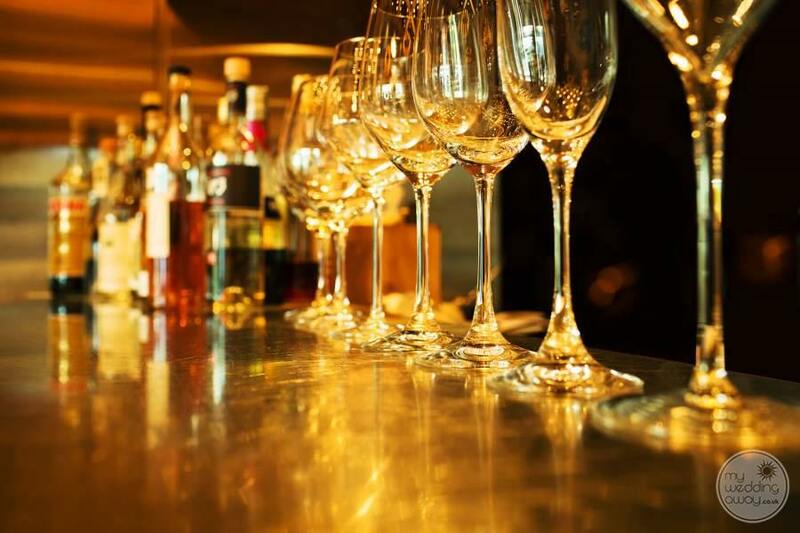 When the day draws to an end, you’ll delight in the opportunities for fine dining with distinctive menus and extensive wine lists. Afterwards, retire to one of the bars for a well-deserved cocktail. We love that most restaurants benefit from spectacular ocean views. The theme of indulgence continues within, and Hodges Bay Resort & Spa offers guests a large choice of accommodation types. Bear witness to glorious sunsets and lush island scenery from the comfort of your luxury home away from home. 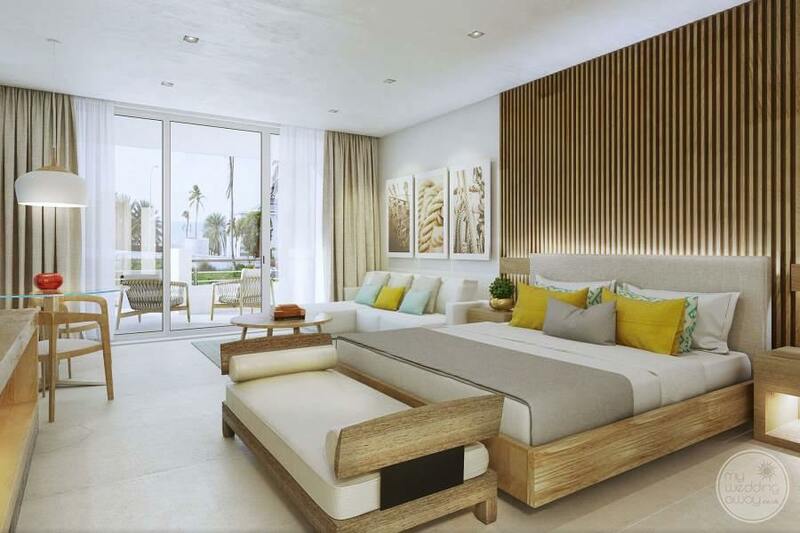 Whether you opt for a chic garden view room or a four bedroom villa with ocean views, you’ll be thrilled with the modern amenities that include rainfall showers and state-of-the-art technology. 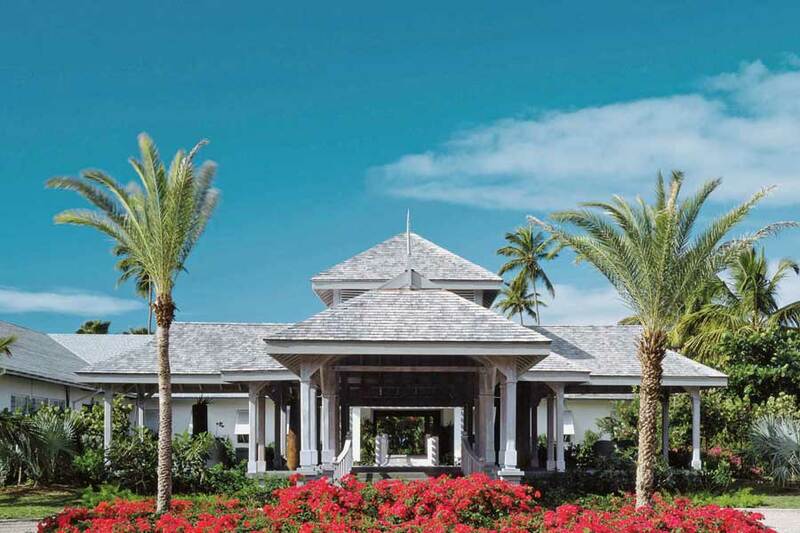 Antigua has 365 beaches, one for every day of the year, one of which perfectly nestles Hodges Bay Resort and Spa. 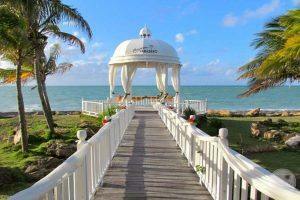 Here, you’ll find an oceanfront gazebo which makes a dreamy venue for a sunset wedding. 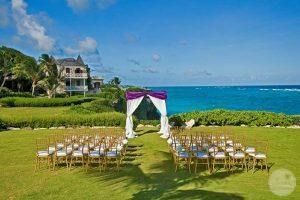 Lush tropical gardens and spectacular beachfront places are perfect for receptions. Thus, the backdrop to your special day is already fabulous! Add to that, a choice of wedding packages and bespoke wedding extras. 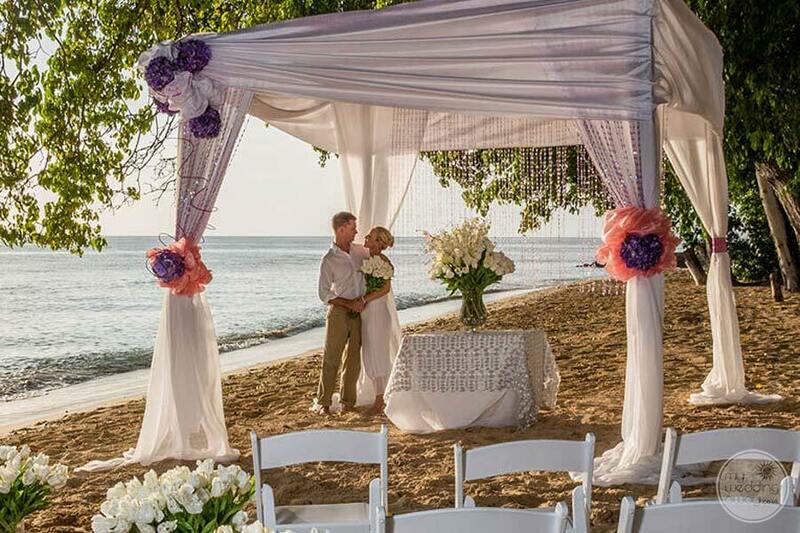 The result is an entirely stress-free wedding experience and the most romantic day to remembered always.